Authors of the book Understanding Autism share their advice on identifying and managing anxiety in children of all ages. Excellent tips for finding the care your child needs in the event medical attention is needed. Description: The mom of three active boys, two of them with special needs, shares her advice for handling daily activities and challenges. Learn why so many children with special needs are deemed ‘picky eaters’ and ways to create a program that encourages good food and healthy habits. The developer of a new safety app called ICE4Autism provides a list of 10 important pieces of information that will help people with autism get needs-conscious, medically-sound treatment. An excerpt from a recently-published novel which will appeal to any family faced with an emerging physical or mental disability in a child. The founder and director of A Child’s Potential provides tips and tricks to increase your child’s chance of success and to decrease some of the anxiety around toilet training. A mother shares what makes her daughter who has Down’s syndrome and autism extra special to everyone she meets. The author of Plan B, Empowering the Single Parent to Benefit their Child with Autism shares her advice for people who find themselves parenting a child on the spectrum alone. Description: Three occupational therapy students at Rush University in Chicago examine the many therapeutic benefits of gardening on persons with ASD. 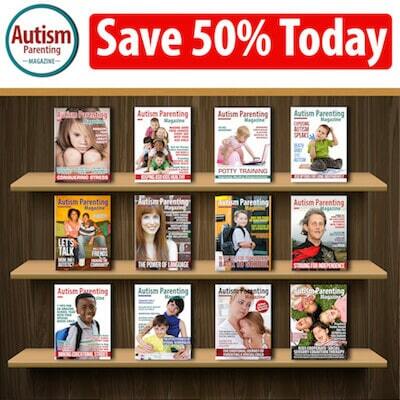 Description: A former teacher and reading specialist shares helpful ways to help a child affected by autism become a reader. The mom of an ASD child shares stress-management practices she follows to regain balance when life feels a little out of control. Description: Learn an effective way to help your child have better conversations using a new iPad App developed by a certified Speech-Language Pathologist and Applied Behavior Analysis instructor. Take a look at four recently-published books which highlight tools and techniques to understand and connect with children on the spectrum including a romantic mystery fiction novel. Meet an inspirational teen who has been hosting his own YouTube cooking channel for two years, recently chosen to star in Our American Kitchen. Learn tips to help you prepare your child with autism for the holidays and possibly eliminate common stressors. In this upcoming webinar, Dr. Trey Ishee will explain the differences between ADHD and Asperger’s. Also included, an interview with Dr. Terri James who joins Dr. G to go over the five main components of a good evaluation. Can My Special Needs Son Really Only Have $2,000 in His Name? Professional advice on planning for your special needs child while maintaining the possibility of government benefits. Take a look how presenting food in fun and appealing ways can inspire healthy eating. The beautiful sights and sounds of the holiday season are fast approaching. Cooler temperatures, freshly baked goods — even the air smells a little different as the seasons change. With the holidays comes a sense of fervor and excitement, and too often, a bit of stress and anxiety. That’s why it’s important, especially when someone you love is on the spectrum, to identify possible triggers and plan your days wisely. In an effort to help our families prepare for the upcoming holiday season, we reached out to professors, doctors, therapists and parents of children on the spectrum for their sage advice. First, we are thrilled to share with you an article prepared for us by the authors of Understanding Autism: The Essential Guide for Parents. In their piece, Professor Katrina Williams and Professor Jacqueline Roberts share professional advice on excellent ways to identify and manage anxiety in children of all ages. As explained in the article, many young people suffer from anxiety, but the events that trigger anxiety and behaviors can vary with children on the spectrum. Knowing how to identify these possible anxieties early may give you the chance to help your child find ways to better cope. Another topic which can cause some added stress for families is toilet training as the process of developing a routine may take longer and present some challenges for children on the spectrum. 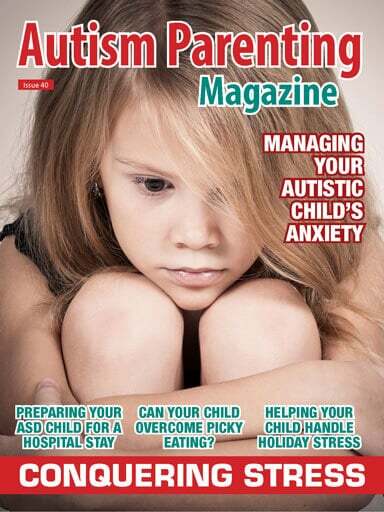 Take a look the article called Simple Tips for Toning Down Potty Training Anxiety with ASD written by the founder and director of A Child’s Potential, Gabi Morgan, as she describes some tips and techniques to increase your child’s chance of success. As the holidays approach, so do the stress levels surrounding travel as people head to family gatherings and go on vacation. Be sure to read 5 Tips for Planning the Right Vacation for Your Special Needs Child by Matt O’Keefe, a writer for organizations such as Minnesota Life College, a vocational school for young adults with learning differences. He provides ways to ease the difficulty of travel when someone you love has special needs. Another issue families with children on the spectrum often face is finding a variety of foods they will eat. This can create quite a challenge for families, especially during the holidays. If you have a ‘picky eater’ at home, be sure to read How to Help Your ASD Child Overcome Picky Eating Now as David Sponder, Licensed Educational Psychologist, BCBA, shares why so many children with special needs are deemed ‘picky eaters’ and ways to create a program that encourages good food and healthy habits. A huge stressor, of course, involves children and their health. Medical emergency situations are stressful for everyone, especially when it involves a child. Did you know children with autism are 20 percent more likely to be hospitalized than their peers? That’s why we reached out to both Dr. Chad Malone who has provided anesthesiology services to children with autism and Colin Rhodes, healthcare IT expert and parent of a child on the spectrum to identify some tips for finding the care your child needs. Be sure to read their piece, Valuable Ways to Prepare Your Child with Autism for a Hospital Stay so you can eliminate as many stressors as possible. In light of the importance of preparing for medical situations with your autistic child, we are happy to introduce you to Wanda Refaely, the developer of a new safety app called ICE4Autism. In Special Alert: 10 Things Medics Need to Know about Your Autism, Wanda provides us with a list of 10 important pieces of information that will help people with autism get needs-conscious, medically-sound treatment. And because parents often need reprieve from everyday stress, we have included an article for all caregivers. In her piece, 6 Things that Helped Me with Special Needs Parenting Stress, autism mom Natasha Cornin shares with us exceptional stress-management practices she likes to follow to regain some semblance of balance when it feels like life’s about to spin off its axis. Natasha’s advice is sure to help all family members. With the holidays right around the corner, we asked Sarah Kupferschmidt, MA,BCBA, to prepare some tips for our families surrounding seasonal stressors. Be sure to read 4 Valuable Ways You Can Help Your ASD Child Handle Holiday Stress, as Kupferschmidt provides guidance on creating the best possible conditions for your child on the spectrum as well as ways to prepare for change. Wishing our families a sense of daily balance and calm throughout the season.